A broken tablet repair can be lifesaving, to say the least. Tablets offer much more flexibility and convenience to people than phones does. We watch movies, read books, create presentations for work, even talking to clients on while on the move, life with our tablets makes things a little easier to manage. So what happens if your tablet is broken? What do you do? The fact of the matter is, if you're tablet is broken or not working, you want your broken tablet repaired fast. That's why you call us at Mobile King, we're the best tablet repair service. Thus, if your tablet is broken or is not working, you want it repaired quickly. Can the glass be replaced on a tablet? 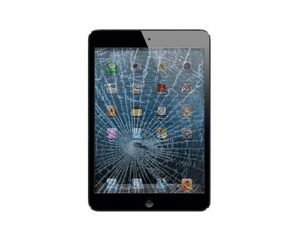 We are professional and qualified to handle your broken tablet repair. Mobile King, we are the best broken tablet repair company in Indianapolis. Give us a call for your tablet repair today at 317 835-9772.